Lily of St. Leonards Lily of St. Leonards: Should British citizens pledge loyalty to Britain? What sanctions do you envisage against those of your fellow citizens (or should that be subjects...?) 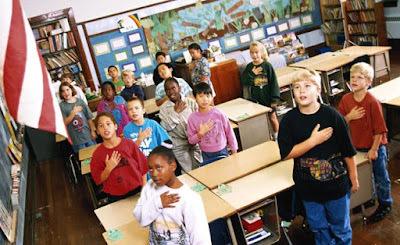 who refuse to take this pledge of allegiance Effie? In the unlikely event of such a deeply foreign requirement being introduced, I like many others would not under any circumstances make such a pledge. My passport is British through an accident of birth as it were; I enjoy the rights and protections of any other citizen. The fact that I'd prefer a Scottish passport, and to live in an independent Scottish republic doesn't make me disloyal, unpatriotic or dishonourable Effie, it simply means I feel no affinity for, or desire to be part of, the United Kingdom of great Britain and Northern Ireland. I imagine millions of other people throughout history have been in similar situations: the inhabitants of multi-national empires like Austria-Hungary, Russia and Turkey pre world War 1, Balts & others in the Soviet Union, Irish people pre 1921. Part of living in a democracy means allowing people choices. As someone on record saying that immigrants to Scotland who voted Yes in indyref1 were acting treacherously, you obviously have an axe to grind. I'm sure you are quite unapologetic about your views, but it will and should turn most reasonable people's stomachs. I'm sure there ARE many immigrants in Scotland who feel British first and Scottish second or not at all. I know there are also many who feel passionately Scottish, and (treacherously in your view) campaigned for a Yes vote. If there were an alternative to having a British passport (an EU passport perhaps...oh, wait...that isn't going to work now either is it...?) I'm sure many in scotland would avail themselves of the opportunity. From the little I know about the Ahmadiyya community, I'm sure they would have no problem advocating Scottish citizenship, and loyalty to an independent Scotland if and when it happens; why should they? No doubt those in charge of previous multi-national states which fell apart considered those advocating secession traitors or perfidious, but that didn't stop Czechs, Hungarians, Poles, Balts, Arabs, Irish etc., etc. campaigning for their independence. In short, whilst we may indeed have much to learn from the Ahmadiyya community, the requirement for citizens to pledge their allegiance to a state they don't believe in most definitely isn't one of the lessons. In addition few of us would accept guidance on this issue from someone who is quick to label others traitors, call for future inyrefs to be banned, and who has expressed a preference for living in Putin's Russia rather than an independent Scotland. You may be viscerally opposed to independence for Scotland Effie, and refuse to accept that it is a "real" country, but please at least try to show a modicum of self awareness and realise that many (and probably by now a majority) of your fellow Scots don't share your views. In the event that independence does happen you'll be free to retain your UK passport; I somehow doubt we'll be requiring you to make an oath of allegiance to the new Scottish state. Perhaps that just shows our nationalism is more progressive and civic than yours? Reading this, you seem to have the view that Britain and the UK are one and the same. The terms are used interchangeably throughout. But in the event of independence, surely everyone will still be able to have both Scottish and/or British identities ? After all, we will still live in the British Isles and will still share much in common including the monarchy. Just like we are all still European even if we end up leaving the EU. Most unionists I know consider the UK to be a state comprised of 4 nations, and we have an increasingly powerful and permanent Scottish parliament in Edinburgh which reflects that. And most friends who support independence want to continue to have close links and relations with our friends in England / Wales / N Ireland afterwards. Pledging loyalty to a Union flag and the United Kingdom would be far too divisive a proposal - forcing an fixed political viewpoint and identity on people who all have equally valid opinions. Didn't you know? Incoherent views are Effie's stock in trade. Smart thinking. Deny Nats passports so the most talented Nats can't go overseas for better job opportunities. In one fell swoop, strengthen the Nationalist movement, antagonise half the population and negate the 'demographic drain' from which the Union has historically benefitted. This is the modern equivalent of denying Irish Catholics the vote. Or ownership of a horse. I hope they implement this. Nothing will break up the union quicker. You can't force people into being something they don't "feel". As long as people in England keep voting in the Eton/Oxbridge set that only cares about London and its surroundings, then you'll have growing resentment. Eton Oxbridge needs gutted from parliament. The main reason I switched from no to yes was that cabal of crooks and corrupt megalomaniacs. The applause for Syrian airstrikes in Westminster was psychopathic and abhorrent. The more I looked closely at mps votes, other interests, privatisations, criminal activity...now the repeal of the human rights act.. the more I realise the best chance of a positive future is independence. I'm ashamed of the uk... have been since the iraq war and it's getting worse. As I am sure you are aware, The UK is an artificial state which was firmed by treaty between 2 nations, and is now composed of 4. Britain is a geographical entity which is not contiguous with the UK,so should the 2 should not be used as synonyms unless your wish is simply to appear ignorant. The EU is similarly an entity composes by treaty and comprising several stares. If you believe that anyone wishing to break up the UK is a traitor, then so are those, including yourself. wishing to break up the EU. Your passport in a EU passport and you accept its rights and privileges. Are you also, then, a hypocrite? This post simply exposes the views of a bigoted and ill-informed individual who wishes to impose their poorly-argued views upon others. What do you call someone who makes a pledge to a country and then breaks it? – A Westminster politician. This was almost verging on being an interesting discussion on the meaning of patriotism, on cultural identity and national identity and whether flags, iconography and pledges hinder or help these but, then, the SNPBad could not be bottled up any longer and, like John Hurt’s alien, its splurged onto the page: ‘What the Scottish nationalists want is to replay their “Lost Cause”’. Why is it that those who wish to deny the Scottish people their right to self-determination are so angry despite, so far anyway, that wish being fulfilled? Conversely, those seeking the path of self-determination do seem to be quite a cheerful bunch despite the setbacks and a hostile press with its unremitting negativity. Strange that those wishing to preserve a system riddled with democratic deficiency seem to be unable to make it sound an attractive option, suggesting that patriots salute a flag and mouth platitudes. That worked well in Weimar Republic in 1933. People quite easily live in an overlapping venn diagram of identities, loyalties and communities and really don’t need any one overriding loyalty forced on them through forced observance of rituals. And, anyway, institutions which prefer to impose ritual are often subsequently exposed as hypocritical – do as we say, don’t do as we do, preaching one thing (extol community spirit) then doing another (bombing another community to bits). Scottish nationalists could certainly learn a lot from the Ahmadiyya Muslim community. So could the author. Bow down to your Imperial Masters! Effie's Soviet background coming to the fore there...Why not just build a wall and be done with it....Gullag's in the Borders and only Unionist party faithful get to move abroad. As long as they leave a family member here for insurance of course. The challenge for you Effie is that the argument about being a traitor can easily be applied to you in the current situation. Scotland is moving towards independence , you are a reactionary who is resisting the inevitable. Old folks with warped sense of loyalty and a rather outdated sense of purpose. Are you honestly saying that you don't think there is a difference between someone who describes themselves as Scottish and British and someone saying that they are Polish and British or Jamaican and British? Incredible! Here's a clue, have a look at what's under your feet! I would feel really embarrassed to put my name to a blog like this. Is this for real? Yep, afraid it is; as a satirical piece it would at best be slightly amusing, but oor Effie doesn't do satire, just bile & indignation. As a Jewish person I see you for what you are. I did not take the 2014 vote as relevant to me until it was pointed out who the SNP and YES supporters were opposing. Orange Lodge, BNP, National Front (directly recruited and working with Labour MPs), Britain First (a self declared fascist party), SDL(EDL). I did not tar everyone who supported NO though I found quite a few who based it on feeling socially superior to the vast majority of the population. Snobbery is a personal failing of intellect. Some were just afraid either of the unknown, having to make an effort, or of their English neighbors vengeance. We all understand fear. Then there were the "opportunist", racist and fascists and religious bigots. Clearly there is where you fall the latter group. Are you actually really that interested if Scotland regains independence? Probably not. But you use the UK government's opposition as a means to forward what really matters to you. Racial prejudice and authoritarian government, the defining characteristics of the Nazi. Truly you must believe your time has come again. That what we all thought was dead and buried under Berlin rubble then condemned to eternity by the full exposure of its depraved crimes. Will on discovering your identity will we find a history of holocaust denial? Whenever fascists try to claw back into the mainstream a screaming flashing warning of what you last did erupts. Consequently the denials of your previous crimes. Now you tag along behind other issues, trying to slip your policies of racial stigma and total obedience to the STATE into politics. Here you are doing exactly that. Completely agree. This blog is pure national socialism docrine and as such disgusted by it. Is the author a nazi or simply a full on Brit Nat waving a flag. Eitler was is is disturbing demented rubbish. What is wrong with pledging your allegiance to your country , the United Kingdom , nothing any sane person could find fault with in that ,it is standard practice in every civilised country in the world , but wait , sane people are endowed with a respect for the senior citizens in their community , something that Running Man to his shame does not have . I have lived in the United Kingdom all of my 73 years and paid my dues over that perid , something the SNP party ridiculed when they gave an amnesty to the community charge defaulters .Shame on the lot of you , unfit for government . Nothing wrong with it at all Govan high, what is wrong is the suggestion that we be compelled to make this pledge under pain of sanctions. As for the poll tax defaulters, I would be far more worried about the current tax defaulters if I were you! Just a wee reminder, your tax/NI went to pay for your parents pension and care. My taxes/NI go towards yours. You have a far higher standard of living than the previous generation. So it's ok to pick and choose which taxes you pay or don't pay according to your political beliefs , and Mr Walker , I'm still paying tax on my private pensions , so I wouldn't like you to think you're doing me any favours , your just paying your legal tax obligations , but why not refuse to pay , I'm sure the Scottish Nazi Party will give you an amnesty . What is Govan high on, glue? It would be illegal to try to reclaim Poll tax debts as they are more than 20 years old. "Scotland’s [nationalism] is a post-national nationalism — one that cares far less about who governs than about what that governance looks like in practice. It is peaceable and beautiful in its way, but no one would die for it. As a no voter turned yes since Brexit I really wonder what this "Effie Deans" and her/his hidden ego hopes to gain from such ridiculous ideas such as this. Does it make any sense to fight Scottish Nationalism by being the most ridiculous Brittish Nationalist ? My country is Scotland, I also feel European, but I have no affection for, nor attachment to, the British State and regard the UKofGB&NI as an occupying imperial power far, far past its sell by date .